Would you like to implement initiatives in your hotel or restaurant to reduce and better manage waste? Have a look at this collaborative toolbox developed by Future of Waste, a makesense.org program, with the active support of SUEZ. It’s 100% free and accessible to everyone! Methodology: follow those 10 steps to implement change. Solutions: find concrete solutions for each of 12 short-listed waste streams. Examples: discover testimonials of tourism and events organizations that are already doing it. Useful resources: suppliers database, videos, visuals, template documents, etc. A free 3-month-online course is also available for further learning. Suggest potential suppliers in order to enrich the open source database: http://bit.ly/wastelessdatabase. 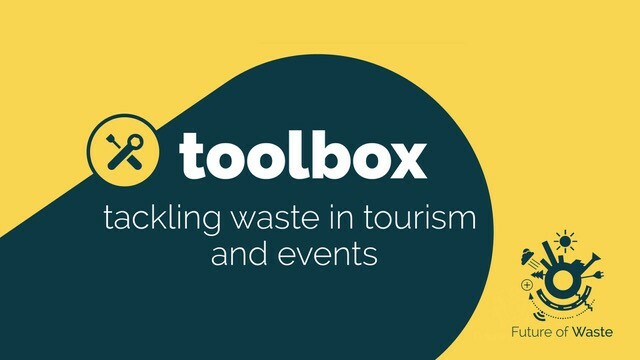 The toolkit was initiated by makesense and SUEZ as part of the Future of Waste program and its 2018 Wasteless Journeys campaign focusing on waste management in the tourism and event industries. The content was developed by our community and partners in a collective effort to ease the circular transition in those sectors.